We’re feeling a bit giddy around the office this week; there has been champagne and grins from ear-to-ear. It’s amazing we’ve managed to get anything done, really. We couldn’t wait to share our festive mood with you all. So here’s the source of our most recent bout of joviality: for the third time this year, Bobux has been recognised with a highly coveted award. This week caps off a proud year of achievement in Bobux’s lifetime with the news that we’ve received a “Highly Commended” award in the Best Footwear Brand category at the UK Junior Design Awards 2015. This award success follows on from our big win on the international stage at the 2015 Red Dot awards earlier this year, as well as proudly snatching up the Silver prize in New Zealand’s own 2015 Best Design Awards. It’s a lot for us to take in, so we’ll use Homer Simpson’s words to sum up our feelings: WOO HOO! Just this week, we were told Bobux has snaffled a “Highly Commended” award at the Best Footwear Brand category in the Junior Design Awards. The awards are given out annually by popular UK mag Junior Magazine to celebrate and share gorgeous designs for kids, from fashion to lifestyle brands and more. This is the second year in a row we’ve won this commendation, with all our staff deserving a good pat on the back for the solid effort they’ve put in to put our brand at the top of the competition. Also this month we’ve come home with the Silver prize at the 2015 Best Design Awards for New Zealand’s Best Product Design: Consumer. The Best Design Awards have been going since 1988 as an initiative of The Designers Institute of New Zealand. It recognises excellence in a whole bunch of design areas, including graphic, spatial, product and interactive. And there must have been something about our soon-to-be-released Blaze shoe that stole the judge’s attention. Actually, there’s no doubt about it; going into the competition we were pretty confident our product would carry its weight to the end. 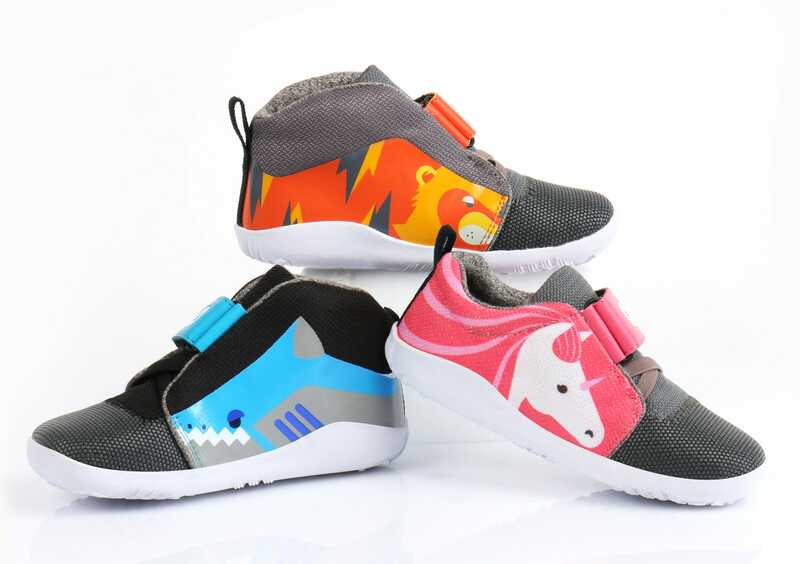 Its durability and innovative sole design meets the needs of a active toddler while also offering a pretty chic design for trendy mums and dads. We’re especially proud of the animal insoles, designed to help pre-schoolers learn their left from their right when they’re putting their shoes on every morning. So we’re chuffed such a prestigious institution has recognised our hard work too. The Blaze will be available in February 2016, so you don’t have to wait too long now folks! The sparkling jewel in the Bobux crown this year was bringing home the Red Dot Award for Product Design – all the way from Germany! Red Dot is not only the largest, but also the most global product design award in the World! That’s right, ladies and gents. Bobux’s reputation for quality design has gone truly global (though you loyal customers have known about our awesomeness for years, you lovely people). This time, it was our Bobux XPLORER that stole the show – the only footwear product to win an award in the Children and Babies category! For those of you who have followed us a while, you’ll be familiar with our X range. 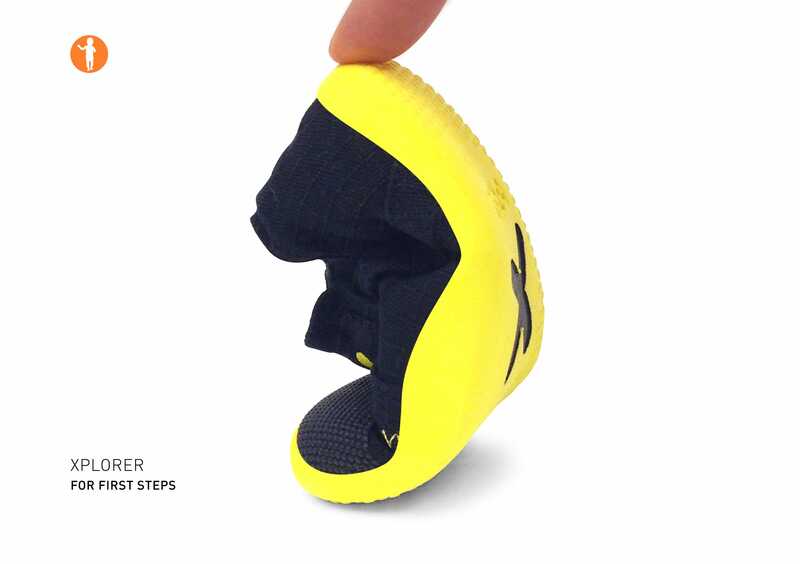 The XPLORER is designed to help kids learn to walk, mimicking that soft, unrestricted feel of barefoot walking, while maintaining that street smart look both parents and kids love. It sounds pretty techy, but it’s enough to say they’re impressed. Hats off to our designers for working hard to achieve that balance. The Red Dot Awards are highly coveted, with over 15,000 submissions across 21 categories every year, so it was a remarkable achievement. We’re so stoked about these triumphs we invite you to raise a glass and celebrate Bobux’s growing success both internationally and at home. And if you want to make the most of our award-winning products, browse our full selection of products today .